This stibnite sample was collected from Shosen 5 vein at 10 ML (mine meter level), Sanjin deposit, Hishikari mine. Prismatic and/or acicular stibnite crystals radially or randomly grew, forming an aggregate in quartz druses. The stibnite mineralization was overprinting Au-Ag mineralization at the same depth. The overprinting of stibnite mineralization on Au-Ag mineralization at depth may have been due to mineralogically exceptional circumstances (see text 111‒117 pages for more information). The authors present comprehensive terrestrial and marine geochemical maps of the Tohoku region and examine how marine sedimentary environments affect the spatial distribution of elemental concentrations. Marine sediments from the Sea of Japan are relatively enriched in elements abundant in felsic igneous rocks such as K2O, Ba, and REEs. These elements are highly enriched in sediments around submarine topographic highs, and are products of the denudation of Neogene sedimentary rocks associated with dacitic tuff and barite nodules. The silt and clay in deep basins are abundant in elements such as MnO, Cd, and Pb because of early diagenetic processes. Silty sediments on the continental shelf are supplied by large rivers; however, their geochemical features are influenced not by the adjacent terrestrial materials but simply by the effects of grain size. The sandy sediments that extensively cover the seafloor of the Pacific Ocean in the study area were sampled from depths below wave base (100–1,000 m). Their chemical compositions are homogenous and similar to those of stream sediments that originate from mafic volcanic rocks. Therefore, they are inferred to have been deposited as relict sediments under the influence of Quaternary mafic volcanic activity that have been transported from the shelf to the deep sea by gravity currents. Although 81% of the total terrestrial sediment yield is discharged into the Sea of Japan, the spatial distributions of elemental concentrations are not always continuous between land and sea. Similar findings are recognized for the Pacific Ocean side. Notably, coarse sands distributed offshore from Kamaishi are enriched in elements abundant in sedimentary rocks of the accretionary complexes and granitic rocks that crop out in adjacent terrestrial areas. Because the river system in this region is small and has low sediment yields, these coarse sands may have been produced via coastal erosion or denudation of parent rocks during past regression and transgression. Mode of occurrence and sulfur isotopic ratios (δ34S) of stibnite were investigated to understand the characteristics of stibnite mineralization, and the source of stibnite sulfur at the Hishikari epithermal Au-Ag deposit. Stibnite occurs as prismatic or acicular crystals forming radiating aggregates in quartz druses, indicating that stibnite precipitated during the last stage of sequential mineralization. Stibnite samples were collected from several veins at 40 and 10 ML (mine meter level) within the bonanza (high-grade Au) zone, located between 150 and -50 ML. Sulfur isotopic values (δ34S) of stibnite samples yielded a narrow range: -0.2 to +0.7 ‰ (n = 7), and are similar to previous δ34S data from ginguro (an Au-Ag-rich black sulfide band) in earlier mineralization (+0.4 to +0.6 ‰ ), and to δ34S data from pyrite in veins and hydrothermally-altered host rocks (Shimanto Supergroup sedimentary rocks)(-1.1 to +1.8 ‰ ). The presence of stibnite within the bonanza zone indicates that stibnite mineralization overprinted Au-Ag mineralization at the same depth. Considering that stibnite commonly forms in the peripheral portions of the epithermal environment, e.g., stibnite deposition on the top of an Au-Ag orebody near the surface, the overprinting of stibnite mineralization on Au-Ag mineralization at depth in the Hishikari deposit may reflect mineralogically exceptional circumstances. 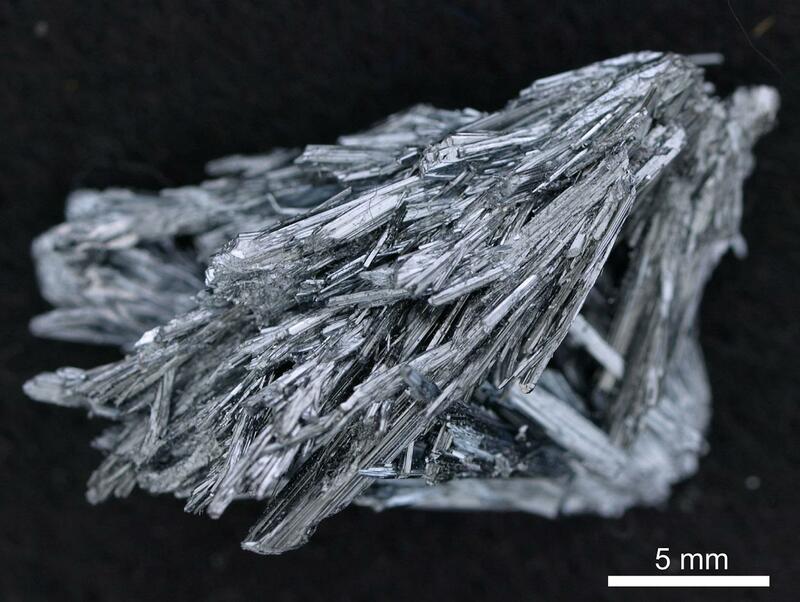 The narrow isotopic range of stibnite sulfur could be due to a spatially homogeneous source of stibnite sulfur. The isotopic similarity between stibnite and ginguro sulfur suggests that the source of sulfide sulfur may have been the same throughout both early and late vein formation. The similarity between sulfur isotopic values in stibnite and other sulfides (ginguro and pyrite) also suggests that the source of stibnite sulfur is likely to be dominantly magmatic, as with the source of other sulfide sulfur discussed in previous studies of this deposit. LA-ICP-MS U–Pb and fission-track (FT) dating were performed for detrital zircons in two felsic tuff samples (KT01 and KT02) in order to estimate the depositional age of the Takikubo Formation (Izumi Group) in the Kan-onji district, eastern Shikoku, southwestern Japan. Total 30 grains analyzed for each sample indicated that the U–Pb ages composed of multiple populations chiefly of younger (75–85 Ma) and older (85–95 Ma) clusters. The concordia ages calculated by grains in the younger clusters were 78.3±0.5 Ma (2σ) for KT01 (number of accepted grains n = 23) and 80.8±0.7 Ma (2σ) for KT02 (n = 9). The U–Pb ages of KT01 are comparable with 79±7 Ma (2σ) of the FT age from the same sample. The U–Pb ages of KT01 could constrain the maximum depositional age near the basal part of the Takikubo Formation, which was middle of the Middle Campanian (polarity chron C33n in the magnetostratigraphy). This paper presents usages, examples, and mathematical backgrounds of a Python script, UPbplot.py, which was newly developed for calculation and visualization of U–Pb age data. The script is a collection of various functions to deal with the one- and two-dimensional weighted means, concordia ages, and concordia-intercept ages on the conventional (Wetherill) and Tera–Wasserburg concordia diagrams for U–Pb age data. This script can calculate those ages and output images including concordia diagrams, bar plots, and histograms.